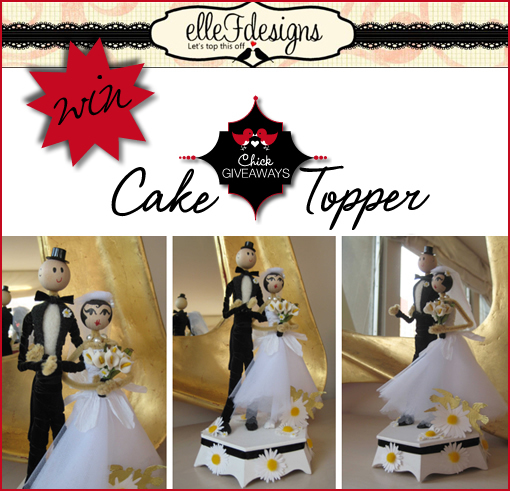 Elle F Designs - Cake Toppers GIVEAWAY!!!! Super cute Cake Topper Giveaway by Elle F Designs! Visit their Etsy site to see more unique Cake Toppers. Leave a comment to win this handmade cake topper!! Check out more designs here: Elle F Designs. Good Luck! P.S. We will be announcing our WINNER for the Lou Lou Bell Giveaway on Wednesday so be sure to enter before then.